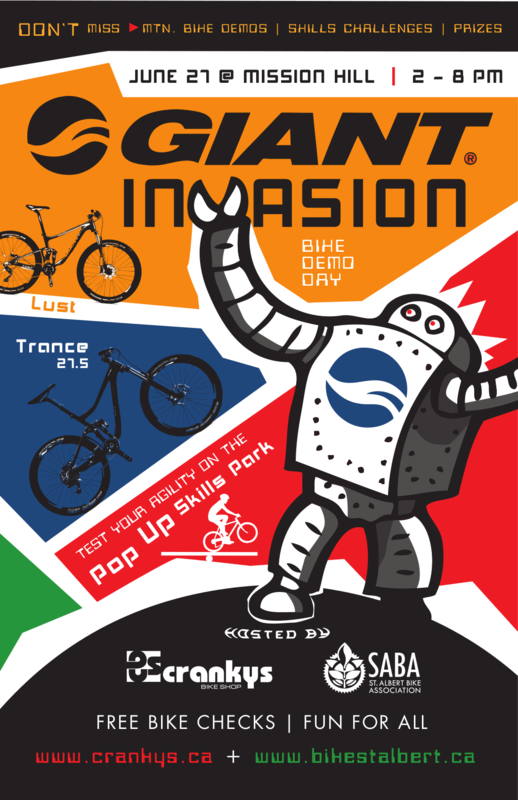 Cranky’s Bike Shop and SABA have joined forces to present the “GIANT INVASION” – a bike demo event. The Reps from GIANT are visiting St. Albert with a selection of their finest mountain bikes. Join us at Mission Hill on Friday, June 27 between 2 and 8 pm. We’ll have skills challenges, prizes, and some sweet bikes to test.